Chilts Plumbing and Heating is a well established Heating and Plumbing company based near to Stourbridge in the West Midlands area of the UK. The company is run by Richard Chilton – A fully qualified Gas Engineer and Plumber. Richard is a time served and Gas Safe Registered engineer who has been in the industry since leaving school in the late 1990’s. He originally served an apprenticeship which resulted in a City and Guilds Qualification. During his apprenticeship he learned all facets of Gas Installations, Servicing and Inspection together with a full introduction into domestic plumbing services of all types. After his apprenticeship he became a certified Gas Engineer and was originally a registered CORGI engineer. The CORGI scheme was superseded by a new, and even more stringent, regulatory scheme known as The Gas Safe Register. It is a mandatory requirement that all Gas Engineers (and anyone working on gas appliances in the home) are registered and qualified under the scheme. Richard is, of course, fully Gas Safe qualified and regulated and renews his membership annually. He also undertakes an extensive program of professional development in order to keep up to date with current regulations. 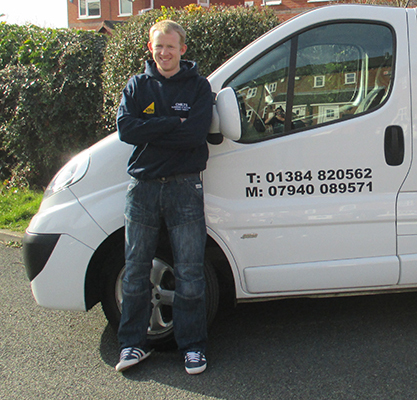 Richard has established a robust reputation as a reliable tradesman and he has a loyal customer base in and around the West Midlands. He welcomes enquiries from both existing and new clients and takes pride in the fact that he offers a free and no obligation quotation service together with a reasonable and fully transparent price structure. For all of your Gas, Heating or Plumbing requirements – Call Chilts Plumbing and Heating.